The Simplified Taxation System (STS) in Russias is an alternative to the Common Russian Taxation System and is meant to encourage small business. This is done, inter alia, by replacing profit tax, property tax (partially) and VAT with one general tax. The full name of STS in Russian is Упрощенная Система Налогообложения (УСН), it is more widely known in Russian under its diminutive Упрощенка, which is basically a cute way to say simplified. STS does not replace all taxes. Your Russian organization still has to pay dividend tax and property tax. The person or organisation that uses STS is called an упрощенец in Russian, which means something like ‘simplifier’.STS has different application methods and rates. In this blog post I will briefly discuss what STS is all about and who can apply it. Which organizations can apply STS? According to the Tax Code, Russian regions may themselves set a lower rate for both variant 1 and variant 2. At least 1% for variant 1 and at least 5% for variant 2. You do not have to prove to the tax authorities that your expenses were actually necessary for the business.After all, expenses are not included in the calculation of the tax to be paid by you under this variant (apart from the exceptions mentioned above). You also do not have to worry about additional tax due to unjustified expenses. As a result, keeping the accounts for this variant is (even) simpler than for variant 2. This method naturally seems very attractive. Especially in St. Petersburg, the Leningradskaya Oblast and other regions where a reduced rate applies. But there are also disadvantages associated with applying this variant. If 15% of the turnover minus the costs amounts to less than 1% of the turnover, you must pay 1% of the turnover. Even if you make a loss. Not all costs may be taken in account when calculating the taxable sum according to this method. Only those costs that are included in the Tax Code. It is therefore important to check whether the costs you expect to make can be deducted. Article 346.16 of the Russian Tax Code contains an exhaustive list of costs that may be deducted from the taxable amount according to this method. In many cases, applying this method will lower the amount of taxes you have to pay. If you make a loss and therefore have to pay tax of 1% of your turnover tax, you may use this 1% as costs for the calculation of the taxable sum in the following year. Suppose your turnover is 4 million rubles and your costs 3600,000 (3 million six hundred thousand) rubles. The taxable sum is then 400,000 rubles. If your company is located in St. Petersburg, where the STS rate for variant 2 is 7%, you will pay 40,000 rubles, 1% of the turnover. Because this is more than 7% of the turnover minus the costs. However, if your company is located in a region where the general rate of 15% applies, you will pay 60,000 rubles. Because in this case it is more than 1% of the turnover. It is therefore very important in which region your company is located. Which organizations can apply the simplified tax system? The turnover may not exceed 150 million rubles (about 2 million euros according to the current price). No more than 25% of the shares in the company may belong to another organization, in other words: at least 75% of the shares must belong to natural persons. The company may not have more than 100 employees. The value of the fixed assets may not exceed 150 million rubles (approximately 2.35 million euros at the current rate). Foreign organizations may not apply the simplified system. This means that branch and representative offices of foreign organizations are not allowed to do this either. Certain professional groups may not apply the simplified system. These are mainly banks and other financial service providers. If your organization meets these criteria, it can choose to apply STS. In addition, an self-employed entrepreneur in Russia can apply the simplified tax. The rules are as follows: new companies must submit a request to apply STS no later than 30 days after registration. Otherwise they are obliged to apply the general system until the next calendar year. The possibility of switching from one system to another is limited. Existing organizations that have not opted to apply STS are obliged to apply the General Taxation System until the start of the next calendar year. For existing organizations that want to switch to STS the turnover in the past 9 months may not exceed 112.5 million rubles (approximately 1.5 million euros according to the current exchange rate), according to art. 346.12 of the Russian Tax Code. The residual value of the fixed assets may not exceed 150 million rubles for existing organizations that want to switch to STS. Almost all Russian regions have reduced rates for several economic sectors. The examples given below have been selected randomly and serve only to illustrate the diversity of the rates and the way in which STS is used. 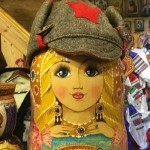 For any other activities, the general simplified rate of 6% and 15% applies in Moscow. In the Moscow Oblast a reduced rate of 10% for variant 2 applies to many different activities, among which: strangely enough, operating a disco or dancing. For activities that are not covered by the exception, the general rate of 15% applies to variant 2. The rate for variant 1 is in all cases 6% in this region. In the Buddhist Republic of Kalmykia lawmakers try to stimulate pre-school education and the processing industry. In both sectors the reduced rate of 1% for variant 1 and 5% for variant 2 apply. In the Siberian Chakassia (google maps) lawmakers try to stimulate agriculture, hunting and fishing, among other things. In these sector the rates are 2% for variant 1 and 5% for variant 2. The city of St. Petersburg is one of the few regions of Russia that has not set separate tariffs for each economic sector. As stated above, in Saint Petersburg the tariffs of 6% for variant 1 and 7% for variant 2 apply. In this ‘province of Saint Petersburg’ rates are also not classified by sector. Strange is that in this region the rate for variant 2 ( 5%) is lower than for variant 1 (6%). In many cases, you pay less tax under this system. Less stringent reporting obligations and therefore lower accounting costs. Under the simplified system, you only need to submit the complete bookkeeping to the tax authorities once per year. Under the general system, this must be done every quarter. Because the system is simpler, it is less likely that you will get into an argument with the tax authorities. With STS you do not pay VAT and therefore you can not reclaim VAT. VAT refunds are among the most common causes for conflicts with the tax authorities in Russia. These conflicts can be very long-term and nerve-racking, so this is an important advantage. There is a major disadvantage associated with this system. Some organizations that apply the General Russian Tax system would prefer not to work with simplifiers (companies that apply STS) because, if they purchase services or products with VAT, they may deduct this VAT from the amount they are allowed to pay themselves. Here you should reply that you are 18% cheaper than your competitors who use apply the general taxation system. By the way, Prime Minister Medvedev has proposed to increase the VAT rate to 20%, so you might soon have to claim to be not 18, but 20% cheaper. The above explanation is however a bit overly simplified. Because it is also possible for a company that applies STS to charge VAT. Of course, a separate declaration must be made of this. It is however controversial that a buyer claims a refund of VAT on the basis of VAT paid to a company that applies STS, even if they did charge VAT and forwarded that money to the fiscal authorities. And if a company that applies STS incidentally charges VAT to some customers, that does not bring about a right to reclaim the VAT. The different rates of the simplified tax system in the Russian regions clearly show which policy choices the local politicians make. It is, of course, a nice boost if the reduced rates apply to your activities. In addition to being able to use this more advantageous tax regime, this also means that local policymakers encourage your activities. This could also play a role in making your location choice. But STS is certainly not suitable for everyone. 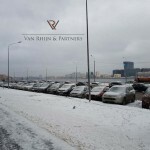 Van Rhijn & Partners can help you determine whether STS is a good choice for your Russian company or for you as a self-employed entrepreneur in Russia. If you already have an existing Russian company, we can arrange the transition to the simplified scheme for you. If you have your Russian company set up by us, we will not charge any extra costs for filing the request to apply STS. We can also check for you which Russian region offers fiscal conditions that are suited best for your intended entrepreneurial activity. Unfortunately, there is no integrated database about this yet, so this is a lot of puzzle work. Fill out our contact form or leave a message below. Question: If a company is under 6% income (STS), they can deduct the expenses regarding the Pension Fund and Mandatory Social Security completely or just part of it ? Like if my company pays 100,000 RUB for my employees Pension and Social Security, we can deduct that completely form our income tax when we fill the tax declaration ? Contributions to the funds that have already been paid can be deducted completely.